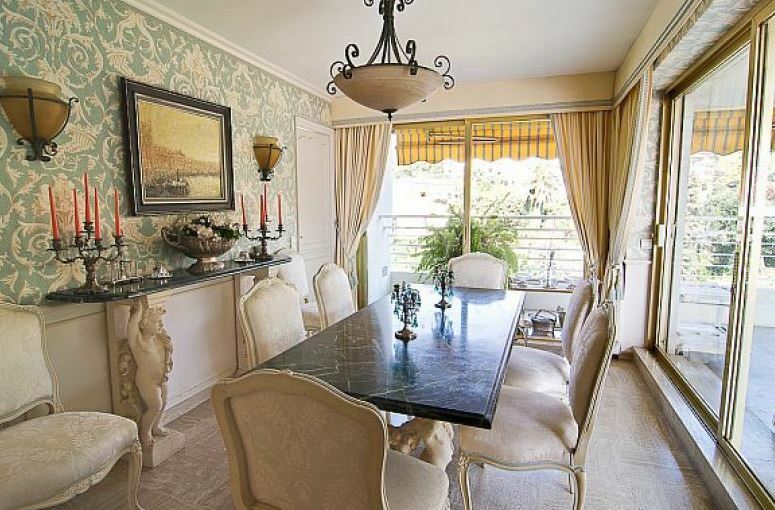 This stunning penthouse apartment is located in the prestigious Croix des Gardes area of Cannes. 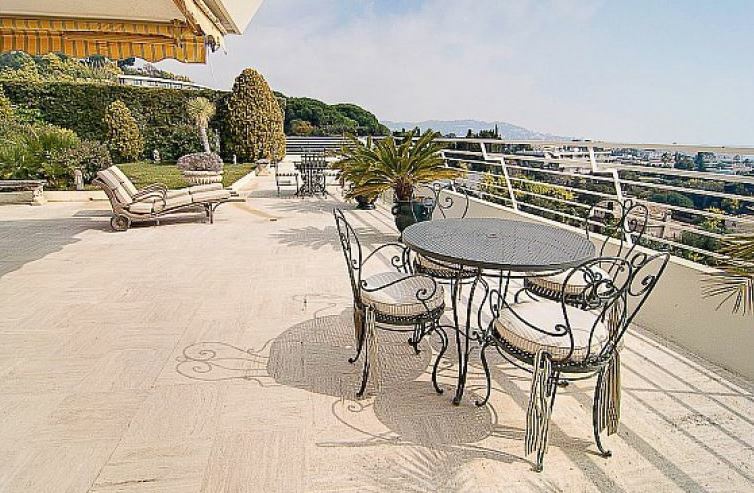 The property is just 10-minutes from the centre of Cannes and the Palais des Festivals making it an ideal base for the Cannes Festival season. It’s also a short 30-minute journey to Nice airport. 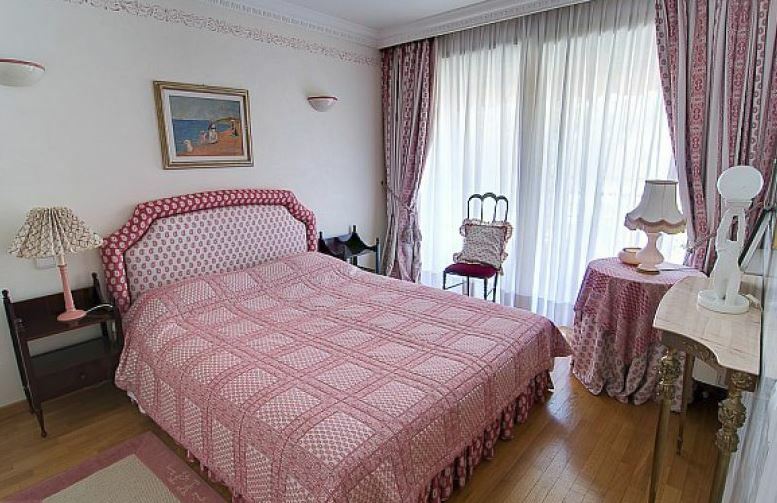 The apartment overlooks the bay of Cannes as well as the Iles de Lerins and the Esterel Mountains. The main apartment is bright and spacious with decadent furnishings and tasteful decor to exude sophistication and comfort. 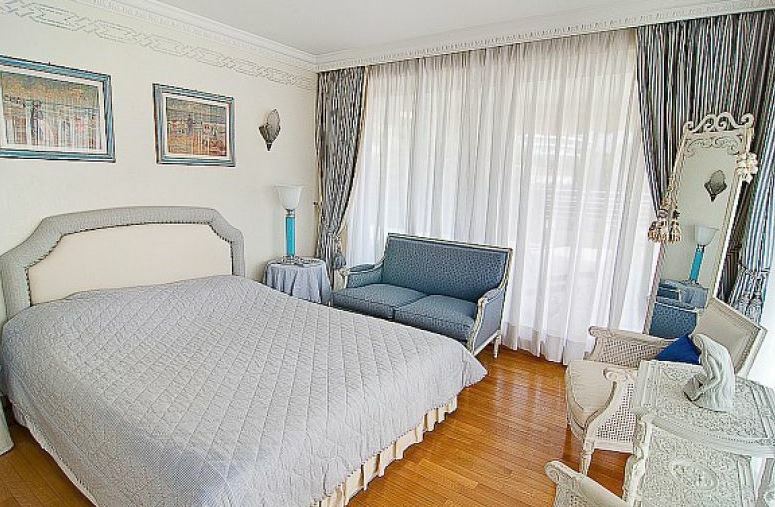 There are 4 bedrooms located in the main property with the 5th bedroom being located in an additional studio apartment. Guests have access to a communal swimming pool and tennis courts for added entertainment. The seating area is completed with a fireplace with access to the large terrace area with sea views. The dining area can accommodate up to 8 people and also has access to the terrace and the garden area. 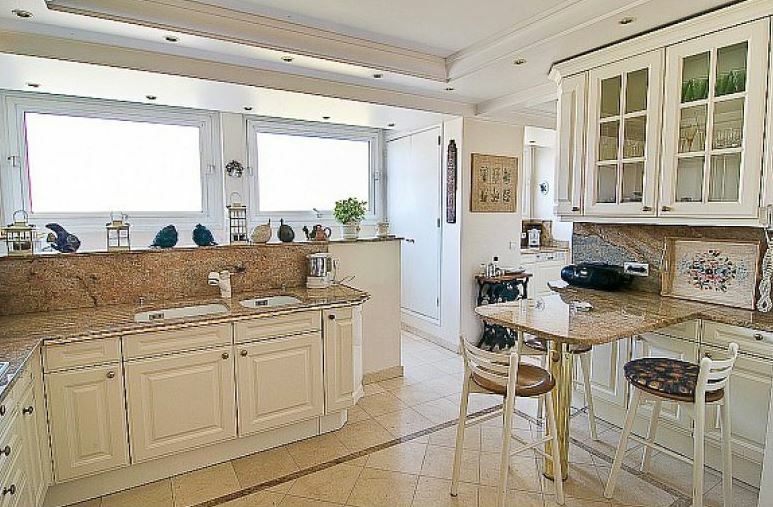 The fully equipped kitchen is separated into 3 areas; dining, preparation and storage. Guests also have access to a TV lounge, an office and a reception area with a piano.